Whenever we think about the fate of Russia in the 20th century, Prince Peter (Pyotr) Kropotkin always comes to mind. He authored numerous scholarly works on politics, economics, geography and geology. 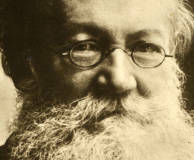 Pyotr Kropotkin was a major Russian theorist of anarchism. 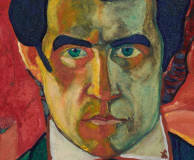 Kazimir Severinovich Malevich (1879–1935) spent the first 25 years of his life outside Moscow. However, it was Moscow that saw the rise of young Malevich's creative talent. This is where he unlocked his potential and rose to international fame. 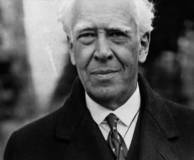 One of the best-known methods of training actors can be attributed to Konstantin Stanislavski (1863-1938). Many places throughout Russia are associated with the legendary stage director Stanislavski, but Moscow was, without a doubt, the city he most cherished. 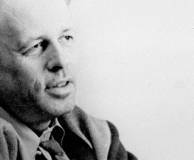 Sergei Eisenstein was born in Riga and later studied in St. Petersburg. But it is in Moscow that he found his true calling. 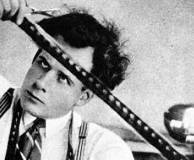 Here, Eisenstein became one of the world’s best film directors, a pioneer in the theory of montage and was widely noted for his works. 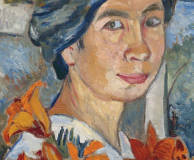 The school of Moscow and Russian art would not be the same without masterpieces of avant-garde artist Natalia Goncharova. Her name is associated with a number of Moscow locations, especially a house in Trekhprudny Lane, the so-called Goncharov’s mansion. 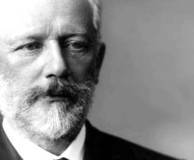 Pyotr Tchaikovsky is one of the most famous Russian composers. He is the author of outstanding operas, symphonies, concerts, and ballets. Since 1866, when he became a professor at the Moscow Conservatory, he lived in Moscow for extended periods of time. 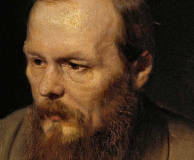 Fyodor Dostoyevsky, who was the most prominent and world famous Russian writer is a native Muscovite. The building where he was born and spent the first 16 years now houses his memorial apartment with Dostoyevskys’ authentic personal objects. 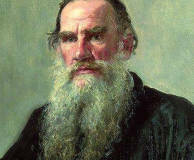 Leo Tolstoy is one of the best-known Russian writers and thinkers. He often visited Moscow and stayed there for a long time. Today there are two museums dedicated to him – a memorial museum in Leo Tolstoy street and a literary museum in Prechistestenka. Ivan Bunin was a great Russian writer, the first Russian winner of the Nobel Prize for Literature. Moscow is mentioned more often than any other city in his works. He lived here for many years and created a literary monument of Moscow of the early 20th century. 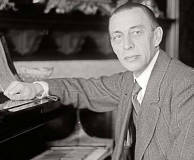 Moscow played a special role in the life of the outstanding Russian composer, conductor and pianist Sergei Rachmaninoff. This is where he did his music studies at the conservatory, went through the most controversial periods in the development of his talent. 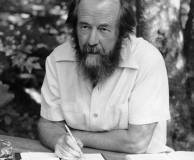 Alexandr Solzhenitsyn is a great Russian writer, public and political figure. In 1970, while living in Moscow, he was awarded the Nobel Prize in Literature. It was with his works that thorough understanding of the history of communism building in the USSR began. It was in Moscow that the artist was born and chose his path in life. In the capital he first felt the urge to take up painting and developed his artistic method. 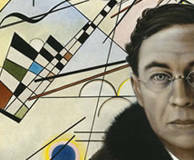 There are a number of memorable places in the capital linked to Kandinsky’s name. Mikhail Lomonosov is sometimes called the Russian Leonardo da Vinci. A natural scientist, physicist, chemist, astronomer, and poet, he was a man of all talents. 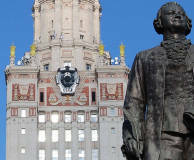 The Moscow University established by Lomonosov is one of the main places associated with him. Vladimir Vysotsky is considered to be one of the outstanding personalities of the 20th century in Russia and beyond. 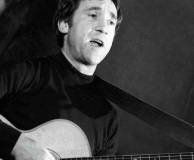 His inimitable, hoarse baritone was heard in every home, particularly in Moscow, a city with which Vysotsky had close connections. 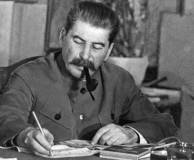 Joseph Stalin is one of the most controversial figures in the history. Many episodes of his life are associated with Russia's capital. The seven of Stalin’s high-rises, large avenues, the first, “Sokolnicheskaya”, line of Moscow Metro are some of this legacy. 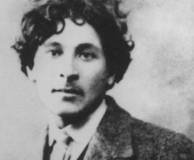 The avant-garde painter, graphic artist and poet Marc Chagall lived in Moscow between 1920 and 1922. He was an art lecturer and also worked hard on his own paintings, many of which are on view in the Tretyakov Gallery on Krymsky Val, including early paintings. 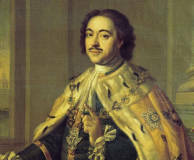 Emperor Peter I the Great, a great reformer, was born in Moscow and spent most of his life here. He played a crucial role in the city’s appearance. His legacy includes the Lefortovo Palace, the Botik, and some beautiful pieces of Petrine Baroque architecture. 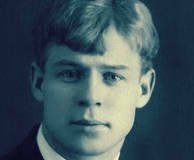 For Moscow, Sergei Yesenin is the dearest and the most beloved poet of that inconstant but exciting early 20th century known as the Silver Age of Russian poetry and culture. For Yesenin, Moscow was a living organism full of human emotions and contradictions. 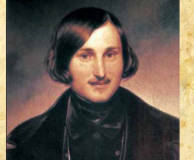 Nikolai Gogol is one of the most prominent writers of the Golden Age in Russian literature. Gogol was very fond of Moscow. He would often come to stay here for long periods of time, despite his frequent stays in his beloved Italy and other places. 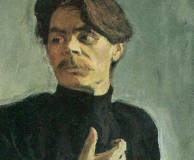 The name of Maxim Gorky means a lot to everyone who loves Russian culture. The writer's works are known all over the world, he was nominated for the Nobel Prize for Literature five times. Maxim Gorky’s main address in Moscow is his museum on Spiridonovka Street. 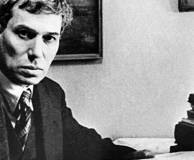 Boris Pasternak was a unique 20th-century Russian poet and writer. The life of Boris Pasternak was closely connected with Moscow, his hometown, where he grew up and lived almost all his life. The protagonists of his novel, Doctor Zhivago, also lived in Moscow. 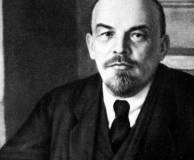 Lenin is the symbol of the socialist revolution of 1917 in Russia. After Lenin came to power, Moscow became the capital of Russia again. 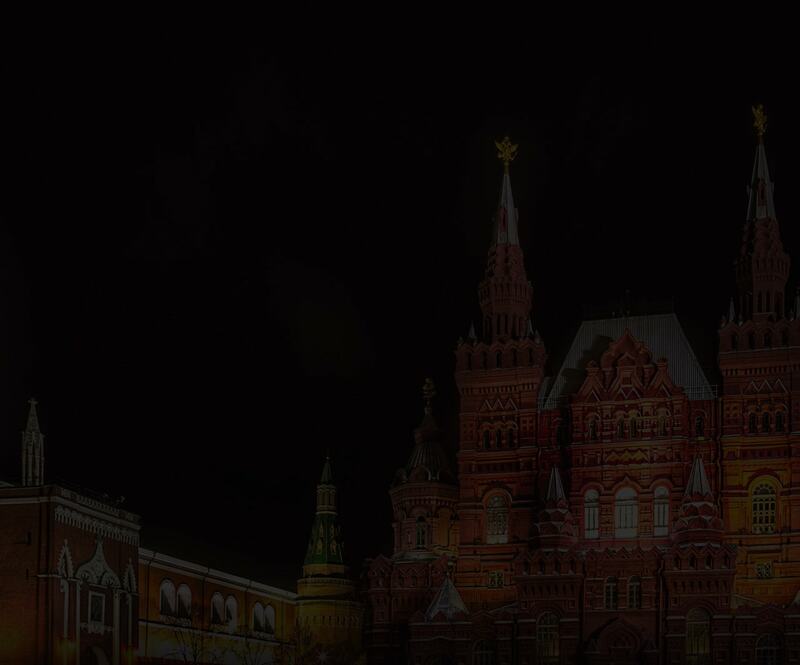 It is here in the Red Square that the table tomb of the leader of the revolution is located – the Lenin Mausoleum. 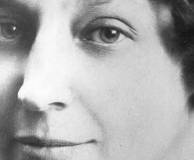 The name of Marina Tsvetaeva, one of the greatest poets of the Silver Age of Russian poetry, is closely associated with Moscow. The main Moscow address of this poet is her house in Borisoglebsky Lane, abounding with authentic objects that once belonged to her. 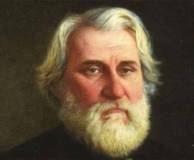 Ivan Turgenev is a 19th-century Russian writer, famous for his novels. Moscow occupied an important place in Turgenev’s life, who grew up and studied here. His mother’s house has survived to our day and now accommodates the Ivan Turgenev Museum. 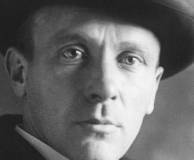 Mikhail Bulgakov (1891–1940) was one of the most prominent Russian writers of the 20th century. 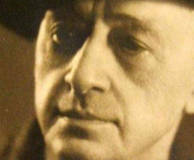 Moscow was the central city in his life and career, the city where he lived for 18 years (since he was 30 until the end of his life) and wrote his major works. 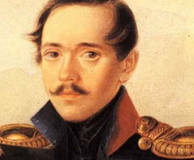 Mikhail Lermontov was a prominent 19th century Russian poet and novelist. He had a particular affection for Moscow, the city where he was born and raised. The main address associated with the poet is the Lermontov house-museum in Malaya Molchanovka street. Andrei Sakharov is an outstanding Soviet physicist and public figure, the Nobel Peace Prize laureate. His life was closely linked with Moscow. His memorial apartment and the Sakharov Centre are among the main addresses associated with his name. 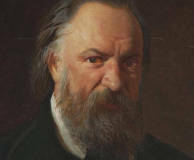 Alexander Herzen is a famous Russian writer, public figure, and philosopher. Moscow played an important role in his life. There are quite a few places in the capital where the memory of him lives on. One of the main addresses is Herzen’s House near the Arbat. No poet in Russia has more fame and love of the Russian people than Alexander Pushkin. 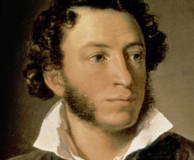 A poet, writer, playwright and the creator of the Russian literary language, Pushkin means a lot to the Russian people who remember his works throughout their lives. 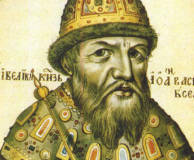 The reign of Ivan the Terrible is one of the most dramatic periods in Russia’s history. The name of this tsar has long become generic, personifying murderous abuse of power. Quite a few places in Moscow and around it are associated with this enigmatic ruler. There is no Mandelstam Street in Moscow yet. 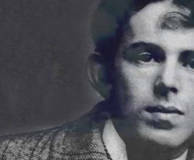 However, Moscow was special to Mandelstam. It was the city of his first love, it was where he saw the peak of his writing career, and also where he was dispatched from en route to Stalin’s prison camps. 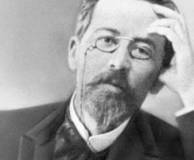 Anton Chekhov is a well-known Russian playwright, writer and a public figure, the author of The Seagull, Uncle Vanya, etc. He moved to Moscow in 1877. The ancient Russian capital left an indelible mark on Chekhov and lent a flavour of its own to his works.